Two wheels are obviously much less stable than four wheels yet stability control has been available on cars since 1992. KTM was the first to introduce Bosch’s MSC (Motorcycle Stability Control) to a bike in 2013. The processing that a motorbike stability control unit has to do differs to that of a car: motorbikes lean into corners and they can wheelie and stoppie. Wheelies increase the risk that the rider will fall off the back of the bike. Stoppies, where too much front braking means that the rear wheel lifts up, increases the risk of the rider going over the handlebars. Leaning too far risks the wheels breaking traction and, unlike a car which simply slides sideways, a motorbike will slide from under the rider. Traction control stops the rear wheel from spinning when too much accelerator is applied. When exiting a corner, wheelspin can cause the rear wheel to snap sideways towards the outside of the bend. If the rider reacts by shutting off the throttle and adjusting weight, this often results in a highside accident where the rider is flipped over the motorbike. If the rider doesn’t modulate the throttle, the bike continues its spin underneath the rider and causes a lowside accident. Traction control virtually eliminates this type of crash. Traction control works by detecting if the rear wheel begins to accelerate much more quickly than the front wheel and also beyond the normal acceleration characteristics in relation to the weight of the bike. The system backs off the throttle to keep the acceleration at the point of wheelspin, but not beyond. Antilock brakes work in the reverse of traction control. When brake pressure is applied, sensors detect whether the wheel has stopped completely or not. If it does, this means a skid is about to happen and the brake pressure is reduced then reapplied. 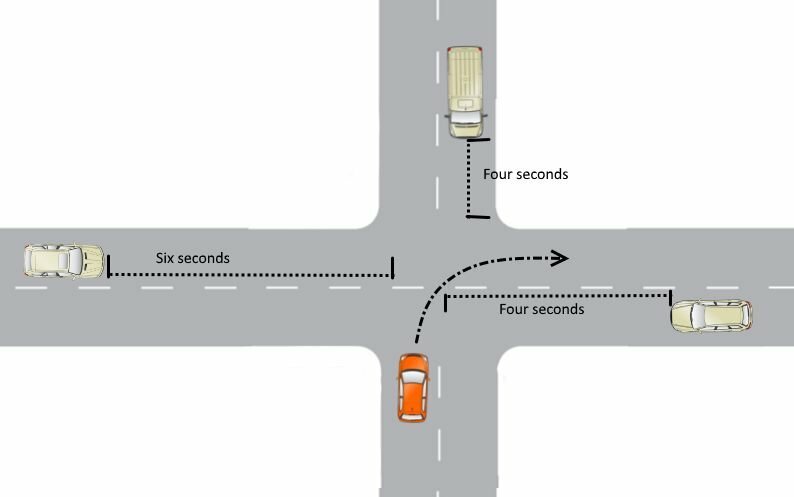 The system modulates this many times a second to keep the wheel at the point of skidding, but not actually skidding. This produces the maximum braking power. Motorcycle stability control understands the lean angles when cornering and can detect when the lean angle is changing too quickly. Wheelies are caused by too much acceleration with too much rearward weight. The front wheel lifts off the ground. At this point it will stop accelerating as much as the rear wheel and therefore the system knows that it’s either wheelspin or a wheelie. The pitch sensor will detect that the bike’s weight has shifted backwards and can modulate the power and rear brake to get the front wheel back on the ground again. Stoppies are caused by applying too much braking with the front wheel. Weight shifts forwards and the rear wheel comes off the ground. At this point the rear wheel might also lock if that brake is applied. The pitch sensor will detect that the rear wheel has lifted and will modulate the front brakes to get the rear wheel back on the ground and thus provide maximum braking power with both wheels touching the tarmac. Starting a large bike on a steep hill is difficult as you need to hold it on the rear brake while modulating the clutch and gears. Hill hold control stops the bike from rolling backwards. When a rider brakes hard in the middle of the corner the shift in weight often forces the bike to come upright, which then increases the turning radius. MSC counteracts this and attempts to maintain the rider’s original intended line. How well does MSC work? The video below demonstrates the features. It can’t compensate for a rider with a death wish, or for a situation outside the rider’s control where the laws of physics can’t be overcome. However, MSC will allow the maximum amount of braking plus stability when turning that will give motorcyclists more options for escape routes and more chance of scrubbing off speed hopefully to the point at which a serious accident becomes only a minor off or a near miss. ‹ What is gap selection and how can you improve your skills? What is gap selection and how can you improve your skills?